Red Dead Redemption 2 Teased by Developer Rockstar | Nerd Much? Red Dead Redemption 2 is all but revealed at this point. Rockstar Games has already turned to Twitter to begin heavily teasing the announcement. The company released the image early this morning on both Twitter and their official website. In both cases, the image was released without any words. 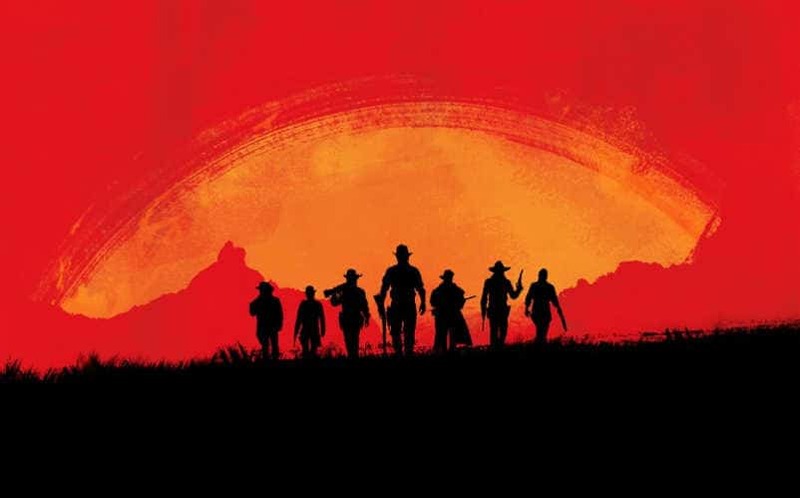 While Rockstar has remained tight-lipped about Red Dead Redemption 2, the image of seven cowboys clearly shares in the game’s motif. Rockstar first teased an announcement yesterday in a similar manner. Instead of the more obvious image, they released an image of their logo on top of the textured, red backdrop that is used in much of the art in Red Dead Redemption. Fans were quick to recognize the aesthetic. At this rate, we expect an official announcement for Red Dead Redemption 2 within the coming week. Rumblings of the sequel have been around for awhile now. Fuel to the fire was when the game’s map was reportedly leaked. Along with this, the game was rumored to be a prequel. Grand Theft Auto V was revealed in a similar fashion back in 2011. If history repeats itself, the announcement will most definitely break the internet. Better call your internet providers now.